A new ad for the teen clothing company Abercrombie and Fitch. An Abercrombie & Fitch ad. 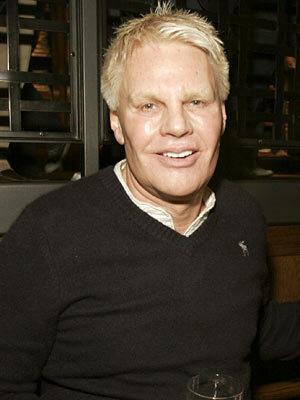 Mike Jeffries, CEO of Abercrombie and Fitch. Remember that song by &apos;90s boy band LFO with the line, "I like girls that wear Abercrombie & Fitch?" Well, apparently the company&apos;s CEO Mike Jeffries only likes his girls to wear Abercrombie & Fitch if they&apos;re a size 10 or smaller—no exceptions. The controversial clothing company makes $5 billion a year in sales, yet still manages to exclude the vast majority of the American population and make them feel like worthless lepers at the same time. And of course, this stupendous level of bigotry is no accident: fat-shaming is the spiny backbone of A&F, and a philosophy that Jeffries holds dear. "He doesn&apos;t want larger people shopping in his store, he wants thin and beautiful people," Lewis told Business Insider. "He doesn&apos;t want his core customers [ages 18-22] to see people who aren&apos;t as hot as them wearing his clothing. People who wear his clothing should feel like they&apos;re one of the &apos;cool kids.&apos;"
A&F won&apos;t sell clothes bigger than a size 10 pant and a size L top for women. For men, they will sell up to size 2XL to accomodate athletes. "In every school there are the cool and popular kids, and there are the not-so-cool kids," Jeffries told the site. "Candidly, we go after the cool kids. We go after the attractive, all-American kid with a great attitude and lots of friends. A lot of people don&apos;t belong [in our clothes] and they can&apos;t belong. Are we exclusionary? Absolutely." In Jeffries&apos; sad and distorted worldview, only the thin people can be happy, cool, popular and beautiful. This is a logical fallacy of epic proportions (is he blind to the stunning beauty of Adele, Sara Ramirez and Christina Hendricks, et al?) but unfortunately, Jeffries is not the only fashion mogul who openly shares this belief. "It&apos;s absurd! No one wants to see curvy women. You&apos;ve got fat mothers with their bags full of chips, sitting in front of the television saying thin models are ugly. Fashion is about dreams and illusions. No one wants to see round women." "Americans are too fat. And in London they are starting to get fat too. So I have to say that if we have to talk about race system and nationalism, I find it refreshing that everyone Chinese is slim." "I suggested that she...lose a bit of weight...I said simply that [she] might be more comfortable. She was a trooper! She totally welcomed the idea and she went on a very stringent diet and it was one of our most successful covers ever." But let&apos;s take a look on the bright side: not all fashion designers and clothing companies reject the average American woman (who wears a size 14, by the way). Popular retailers for young people like Forever 21 and American Eagle carry up to size 18 in women&apos;s clothes, and H&M&apos;s newest swimsuit model is size 12 beauty Jennie Runk. Still, we live in a world where 50 percent of girls age 3-6 hate their bodies, and one in 10 people will suffer from an eating disorder at some point in their lives. Jeffries&apos; message perpetuates a pro-skinny elitism that is not only irresponsible, but also blatantly cruel, outrageously sexist and frighteningly detrimental to our society as a whole. We should raise our sons and daughters to value themselves not by the numbers on their clothes, but by the attributes that make each of them unique regardless of their size. Also, who cares if you can&apos;t fit into those A&F distressed denim jeans? They went out of style about 10 years ago anyway. Leah Pickett writes about popular culture for WBEZ. Follow her on Twitter, Facebook and Tumblr.